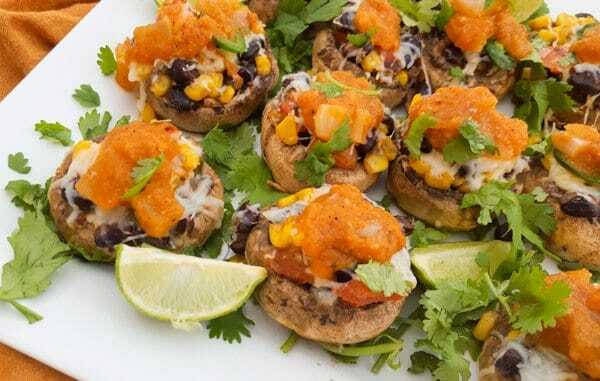 Savory Vegetarian Stuffed Mushrooms | Mexican Appetizers and More! These Savory Vegetarian Stuffed Mushrooms are so delicious, moist and make the perfect appetizer to any meal or occasion! Made with black beans, corn, onions, peppers, sour cream, mayonnaise, garlic, cilantro, butter, smoky spices, mozzarella cheese and topped with a tomato serrano sauce. Absolute yum! Let’s talk about stuffed mushrooms! Gosh where to start with these Savory Vegetarian Stuffed Mushrooms! They are a relishing, delectable, piquant, spicy and an aesthetically tempting little Mexican appetizer! Should I say more?! I have always and I mean always loved mushrooms for as long as I can remember. Being the food enthusiast that I am, food was always a priority, period! 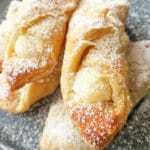 The thought of “hey what should I make today?” “What ingredients do I need?” Should I make this today, tomorrow? But appetizers especially Mexican appetizers have always been a big part of my food adventures. 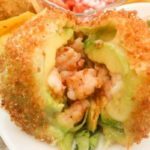 There has always been that fascination for me…..the small, mini, cluster of food…hence, Mexican Appetizers and More was created! And folks these mushrooms are super easy to prepare. You probably already have all the ingredients for these guys in your pantry and fridge! A few ingredients include, a can of black beans, can of corn, sour cream, serrano pepper, an onion, a pepper, some spices and of course the mushrooms. Now if you want to add that extra bold flavor, please make sure to top it with my tomato serrano sauce! For this sauce just some roma tomatoes, serrano pepper, onion and garlic. This little step will bring your mouth a world of happiness! 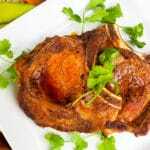 I have inserted recipe below. 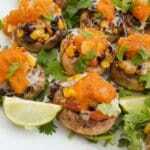 So lets get to these Savory Vegetarian Stuffed Mushrooms! Easy Delicious Mexican Street Corn (Elote). 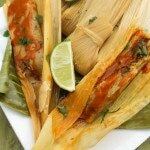 Or for a full list, click here→ Vegetarian Dishes! Break off stems with fingers and chop coarsely. Set aside. In a skillet over medium heat, add butter and allow to melt. Add pepper, onion and garlic. Stir together. Cook for 4 minutes or until onions are translucent. Add black beans, corn, chopped stems and all seasonings. Stir together. Cook for 2 minutes. Remove from heat and allow to cool down for a few minutes in a bowl. Now add the cilantro, sour cream and mayonnaise to bowl. Mix well. 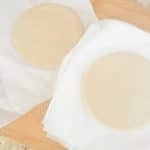 Grease a baking sheet or baking pan and place mushroom caps. Fill all caps with mixture and top with shredded mozzarella. Bake for 10-15 minutes at 350 degrees F or 176 degrees C.
When mushrooms are done top with tomato serrano sauce. Serve immediately.